SAGE Scholars, Inc., in partnership with National Education, announces a new student lending program for private colleges & universities. The “SAGE Tuition Loan Program” — “SAGE TLP” — is designed to help participating colleges increase net tuition revenue, lower discount rates and promote student retention. SAGE TLP is an innovative “hybrid” program attractive to colleges because it has zero cost, is low cost for families (less than 1% APR), generates cash flow and provides third party loan management, relieving colleges of both administrative burden and compliance risk. Colleges make no capital investment and pay no administrative costs. The program does NOT affect a college’s current cash flows from other sources, such as loans, federal aid, state aid and direct payment from families. Colleges can use SAGE TLP as an enhanced retention tool – when changed circumstances imperil a current student’s continued attendance. A college can respond by offering SAGE TLP instead of an increased discount. Repayment can be deferred until after graduation, and a 25% forgiveness benefit will be warmly received by the student and his/her family. Colleges are able to dictate the allocation between the graduation benefit and the on-time payment benefit. Loans can be made regardless of FICO score, giving the college the flexibility to include the product in award letters. However, only credit-ready loans will be offered in potential securitizations. Early-adopting institutions will have a guaranteed cash flow for all credit-ready loans made. Wesley College (Dover, DE) is the first SAGE member college to agree to participate. With just under 2,000 students, Wesley has put itself in position to potentially recapture nearly $ 1,500,000 in tuition revenue over the next five years. How much tuition revenue can an institution recapture using SAGE TLP? In addition to showing projected revenue that can be recaptured, colleges can see how this revenue equates to the number of full-paying students by visiting the on-line calculator on the National Education website. SAGE Scholars, Inc., established in 1995, has created the nation’s largest private college savings program, with more than 190,000 participating students and 276 participating colleges (45 states) in its enrollment marketing consortium. Families who save in programs such as the Pennsylvania and Wisconsin state 529 Plans are rewarded with Tuition Reward Points – similar to frequent flyer miles – that can be redeemed for guaranteed minimum discounts if students are admitted to and attend a member college, beginning with the freshman year. National Education, established in 1988, is a financial solution company sharply focused on developing, marketing, originating and servicing education financial products. National Education has received the “Exceptional Performer” designation from the U.S. Department of Education. Dr. Jim Johnston at 215.564.9930, CEO, SAGE Scholars, Inc.
On February 22nd the Arizona State Senate passed SB 1249 requiring lenders that did not originate a loan to produce the full chain of title for all prior beneficiaries or risk the foreclosure sale being voided and award of attorney fees and damages. The bill passed the Republican-dominated Senate by an overwhelming margin of 28-2. The bill is now in the House where it is expected to pass despite opposition from the states banking industry. The legislation, if passed into law, would become the first in the country requiring lenders to prove they have the right to foreclose by providing a complete list of any previous owners of the mortgage, or chain-of-title documentation on the debt. In 2006, Global Debt Registry (GDR) recognized the serious weaknesses in consumer data management practices, and began development on a new technology platform that would ensure the integrity of managed and traded data, track account-level chain of title, and provide a turnkey portfolio and document-management repository. Today, the Company offers a fully developed and proven solution that addresses many of the issues facing the mortgage finance and servicing industry today. Bruce Gilmore, President and CIO added, Our patent-pending technologies are in use by more than 60 accounts-receivable clients and servicing entities in all 50 states. The system can be easily customized to provide titling, data integrity, and media-management services for any asset class and industry. Users can easily transmit and receive data and documents while meeting the most stringent regulatory and industry data protection requirements. Lawmakers in other states including New York, Oregon, and Virginia have proposed legislation similar to the Arizona bill. Attorneys General of all 50 states are collectively investigating the mortgage servicing industry. GDR offers its knowledge and expertise to those seeking a proven, carefully measured solution to the issues facing the debt industry today. For more information about Global Debt Registry contact Greg Ousley, CEO, at 866-660-2341, ceo(at)globaldebtregistry(dot)com, or visit http://www.globaldebtregistry.com. Global Debt Registry delivers significant consumer protections as well as measurable ROI benefits to all participants in the Accounts Receivable Industry by providing the nations only proven, patent-pending AR titling solution. GDRs customizable platform provides a comprehensive Data Integrity, Chain of Title, and Turnkey Media Management solution. GDR maintains the integrity of traded data and documentation (validates debt); maintains accurate ownership (account-level chain of title); and provides automated access for media lifecycle management. The Company offers a customizable platform both in the performing and non-performing Securitization and ARM industry markets. SunGard has added global fixed income data to its MarketMap market data solution, which provides flexible, cost-efficient access to global, real-time and historical data, news and analytics. The fixed income data is provided by Interactive Data, a leading provider of financial market data, analytics and related solutions. MarketMap now includes global coverage of more than three million fixed income securities including corporate debt, high yield securities, government and agency debt, securitized debt, municipal debt, money market securities, and hybrid securities worldwide. SunGards MarketMap offers real-time access to price information, news, analysis and financial calculators. The MarketMap terminal and data feed provide decision support for trading, research, risk management, portfolio management and advisory functions within financial institutions. MarketMap also provides data integration tools for software vendors, news organizations and third-party aggregators. Robert Jeanbart, global head of market data and information services for SunGards technology, deployment and distribution business, said, We are continuously expanding the content and coverage of MarketMap with high-quality data to support our customers in expanding their businesses both geographically and across multi-asset classes. The addition of global fixed income data in MarketMap is a part of our focused investment in MarketMaps solution portfolio to offer enhanced functionality and data as well as leverage synergies with other SunGard solutions. A suite of global market data solutions, SunGards MarketMap offers real-time access to price information, news, analysis and financial calculators. The MarketMap terminal and data feed provide decision support for trading, research, risk management, portfolio management and advisory functions within financial institutions. Market Map also provides data integration tools for software vendors, news organizations and third-party aggregators. SunGard is one of the worlds leading software and technology services companies. SunGard has more than 20,000 employees and serves 25,000 customers in 70 countries. SunGard provides software and processing solutions for financial services, higher education and the public sector. SunGard also provides disaster recovery services, managed IT services, information availability consulting services and business continuity management software. With annual revenue of about $ 5 billion, SunGard is ranked 380 on the Fortune 500 and is the largest privately held business software and IT services company. Look for us wherever the mission is critical. For more information, visit http://www.sungard.com. Trademark Information: SunGard, the SunGard logo and MarketMap are trademarks or registered trademarks of SunGard Data Systems Inc. or its subsidiaries in the U.S. and other countries. All other trade names are trademarks or registered trademarks of their respective holders. Field Asset Services (FAS), the nations leading provider of field services to the REO industry, today announced the Company will be presenting at the Distressed Asset Roundtable & Exchange (DARE) taking place on Tuesday, April 12th in New York City. Dale McPherson, President and Chief Executive Officer of FAS, will moderate and present on a panel with other industry experts discussing best practices and need-to-know methods for managing and disposing distressed assets. Panelists will explore a variety of topics relevant to increasing performance and liquidating low performers from balance sheets including code compliance and mitigation; lease-and-hold best practices; REO portfolio assessment and valuation; REO financing options; bulk purchasing of REO assets; and the new model for REO sales. 4) be the catalyst to revive the private sector global securitization market providing desperately needed liquidity to the economy. Global Debt Registry is uniquely positioned to solve the problem surrounding the inability to identify the owners of mortgages that have been or will be securitized in the future, said Mark Parsells, Executive Chairman of GDR and former senior banking executive at Citigroup, Bank One and American Express. The industry wants to do the right thing to protect consumers as well as the assets entrusted to them by shareholders of their respective companies they just havent had a solution that will accomplish both of those goals until now. GDRs solution is clean and simple. The Company provides a central repository in which all mortgage originators can register mortgages that are marked to be securitized. Then, as the mortgage begins its journey through the securitization process, GDR will ensure that each transfer is properly recorded and assigned in the appropriate counties. Each county will be paid the fees that are required by the purchaser. GDR will house the electronic records of each transfer in our highly scalable and secure database. This will ensure that each and every mortgage that is securitized will be transferred properly with the appropriate assignee and showing that each time the mortgage traded hands that it is in the appropriate county records and that all required government service fees have been paid. In 2006, Global Debt Registry (GDR) began development of a new enterprise platform built to track ownership, ensure traded data validity, and centralize document management for account and portfolio level transactions on consumer debt. Since then, GDR introduced its new platform to the consumer receivables industry and now supports more than sixty debt buying and servicing companies in all fifty states. GDR offers a new standard for tracking debt ownership with superior data recording and documentation management capabilities compared to existing systems. In January of 2011, the company received a provisional patent from the US Patent and Trademark Office on technologies in its most recent platform Release GDR 5.1. GDR is on VISAs Customer Information Security Program List of Compliant Service Providers. Visas Payment Card Industry Data Security Standards are the banking industrys highest standards for protecting confidential consumer Personally Identifiable information (PII). Weve delivered a revolutionary data- and document-management platform with unmatched security and scalabilityeffectively redefining the standards for tracking and managing securitization transactions in the global financial services industry, said Greg Ousley, CEO of Global Debt Registry. Our patent-pending technology delivers integrity to the issuing/originating, servicing, and selling of debt/securities, including tracking mortgage ownership, servicing rights, and related key data and documentation. The most widely used system for tracking assignments/ownership and servicing rights of mortgages was introduced in 1996 requiring users to participate in little more than an electronic handshake with minimal oversight. The huge growth in demand for mortgage-backed securities created time pressures that led to weak and faulty documentation highlighted in the 60-Minutes piece. GDR recognizes that weakness and designed a system with numerous real-time quality assurance points to ensure transactional integrity, transparency, and protections for all parties. While millions of legacy mortgages and their supporting documentation are destined for the courts in the months and years ahead, 100 percent of GDRs registered mortgages will be managed under the financial industrys most stringent data security requirements in a process proven to meet the federal rules of evidence, including strict adherence to the Pooling and Service Agreement requirements and verification of legally required filings with county recorders. GDR offers its services to all those seeking a proven, carefully measured solution to the issues facing the securitization industry today. For more information about Global Debt Registry please visit http://www.globaldebtregistry.com or contact Denis Concannon, Public Relations at 781.413.0002, dconcannon@globaldebtregistry.com. For an on line video of the mortgageownership segment broadcast by 60-Minutes, visit CBS News at 60-Minutes. For additional comment regarding the segment, visit CBS News on line at 60-Minutes Overtime. For a free white paper by Attorney Daniel J. Langin summarizing the flaws in the securitization process that led to the halting of foreclosure cases throughout the country, please visit White Paper 2 – Securitization. In this second paper in a series, Attorney Langin looks closely at securities litigation in MBS, potential tax and trust law violations, and pending legislation with argument for the creation of a new standard for documenting assignment and authenticating ownership of mortgage accounts in securitizations. Global Debt Registry was founded in 1996 and is backed by a $ 5 Billion private equity fund. GDRs customizable, patent pending platform provides a comprehensive Data Integrity, Chain of Title, and Turnkey Media Management solution to the Mortgage and Accounts Receivable Industries. Our mission is to deliver significant consumer protections as well as measurable ROI benefits to all of our clients. 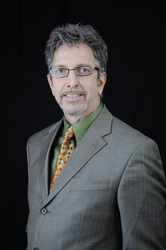 Daniel J. Langin is the principle of Langin Law Firm, LLC with more than 22 years of experience in private and corporate practice. Experience includes positions as General Counsel of two technology companies (GeoAccess and INSUREtrust.com), Global IT Law Manager for USF&G and St. Paul Insurance Companies, and several years as a trial lawyer. He has spoken and published on issues of technology and commercial law and policy in the United States, Canada, Europe, and Israel, and has been quoted by CNN, USA Today, CIO, Computerworld, Boardwatch, and the Boston Business Journal. He is a former member of the Aspen Institutes Internet Policy Project. For more information, see http://www.langinlaw.com or contact Daniel at (913) 661-2430 or dlangin(at)langinlaw(dot)com. Veros Real Estate Solutions (Veros), an industry leader in collateral valuation technology, enterprise risk management and predictive analytics, has announced that it will host an educational webinar focused on providing insight into the Uniform Appraisal Dataset (UAD) program. At the direction of the Federal Housing Finance Agency, Fannie Mae and Freddie Mac designed UAD to help tighten loan requirements and implement automated processes for loan origination. The UAD program was announced in December 2010, and as the deadline for compliance nears, lenders are seeking clarification for a successful integration. The RiskWire webinar will focus on 1) the timeline for compliance; 2) the purpose and anticipated outcome of UAD; and 3) requirements for a successful implementation. Additionally, any industry concerns or misnomers in the mortgage and real estate industry will be discussed. David Rasmussen, senior vice president of operations for Veros, will lead a panel that includes William E. King, director of valuation initiatives for Veros and a certified appraiser, and Peter Christensen, general counsel for LIA Administrators & Insurance Services. Veros Real Estate Solutions (Veros), an industry leader in enterprise risk management and collateral valuation services, has announced that its VeroSELECT and Valuation Risk Management (VRM) platforms are fully functional and ready to help lenders in all aspects of ordering, managing and delivering appraisals through the Uniform Collateral Data Portal (UCDP). Additionally, they will accept and process appraisals compliant with the Uniform Appraisal Dataset (UAD). These initiatives are part of the GSEs Uniform Mortgage Data Program (UMDP), a strategy to standardize and drive data quality to benefit the entire mortgage industry. 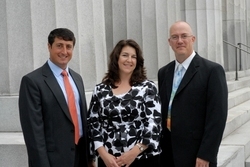 Fannie Mae and Freddie Mac (GSEs) announced Wednesday that UCDP will be live on June 27, 2011. According to the GSEs, appraisal report forms for all conventional mortgage loans delivered on or after March 19, 2012, must be submitted to the UCDP before the delivery date of the mortgage if the loan application is dated on or after Dec. 1, 2011 and an appraisal report is required. Veros and its related platforms have been named as approved solutions that enable the submission of electronic appraisal data to UCDP. The key to a good experience with UCDP is for lenders to get on board early and not wait until March 2012 to begin utilizing the program, said Chris Gowen, sales vice president at Veros. There is significant pre-work that needs to be accomplished in order to meet all GSE requirements. Having access to the system now provides opportunity for the necessary internal testing and process changes lenders need to work through to ensure smoothly running operations and on-time compliance with this mandate. VeroSELECT and VRM have been finely tuned and are ready to help lenders quickly and efficiently navigate UCDP for a successful outcome. These platforms were built to provide precise functionality in valuation risk management, as well as manage the entire collateral valuation process from start to finish. Participants will be able to utilize UCDP through a web-based portal to upload and browse files, or they can connect via a vendor provided solution, such as VeroSELECT and VRM. According to Gowen, vendor integration is a smart option for lenders and their designated agents concerned about loan volume and looking to automate their processes, as well as for lenders looking to add risk management capabilities to their workflow through the addition of analytics or automated reviews. The GSEs will provide job aids, training programs and other resources to help lenders learn the system over the next few weeks. These tools can be accessed directly from the GSEs respective websites. Veros is a significant provider of property valuation analytics, including automated valuation models (AVMs), automated fraud and risk analytics, as well as future value forecasting for the real estate and mortgage industry. Veros is also a leading provider of automated valuation and risk management solutions offering platforms managing the entire spectrum of collateral valuation products while simultaneously monitoring workflow for compliance. Veros was selected in 2010 by the GSEs as the technology provider to build, support and maintain the UCDP platform, which provides the electronic appraisal data delivery to the organizations. Veros Real Estate Solutions, a proven leader in enterprise risk management and collateral valuation services, uniquely combines the power of predictive technology, data analytics and industry expertise to deliver advanced automated decisioning solutions. Veros products and services are optimizing millions of profitable decisions throughout the mortgage industry, from loan origination through servicing and securitization. Veros provides solutions to control risk and increase profits including automated valuations, fraud and risk detection, portfolio analysis, forecasting, and next-generation collateral risk management platforms. Veros is headquartered in Santa Ana, Calif. For additional information on Veros, visit http://www.veros.com or call (866) 458-3767.